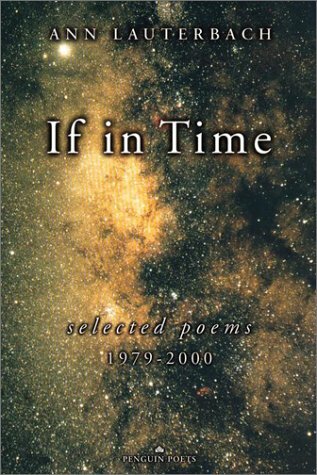 Ann Lauterbach reads from two collection of poetry If In Time: Selected Poems 1975-2000 (New York, Penguin, 2001) and Hum (New York: Penguin, 2005). Lautebach is Ruth and David E. Schwab Professor of Languages and Literature and Director of Bard's Graduate Writing Program. She is also the author of The Night Sky: Writings on the Poetics of Experience (New York: Viking, 2005).